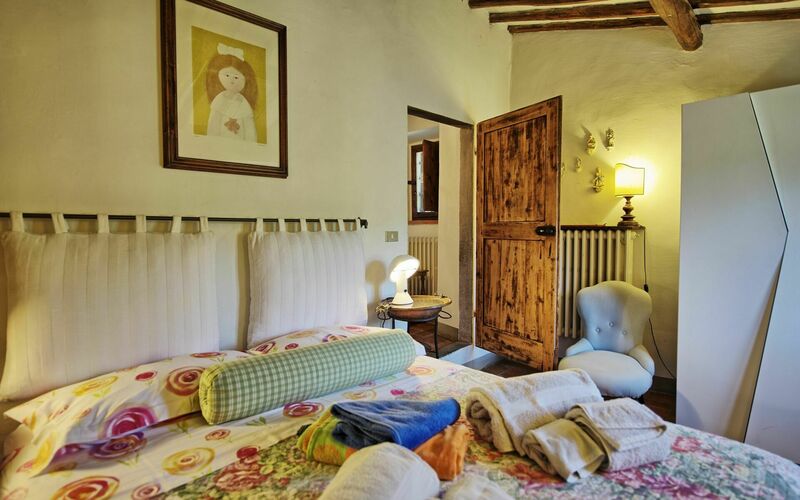 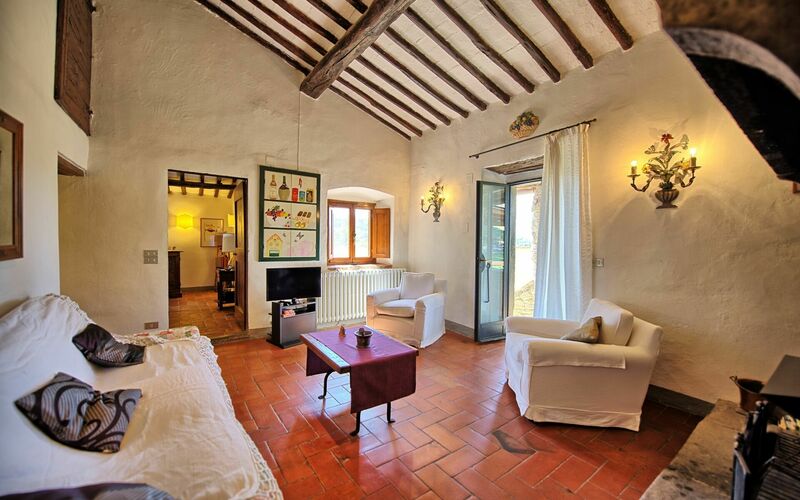 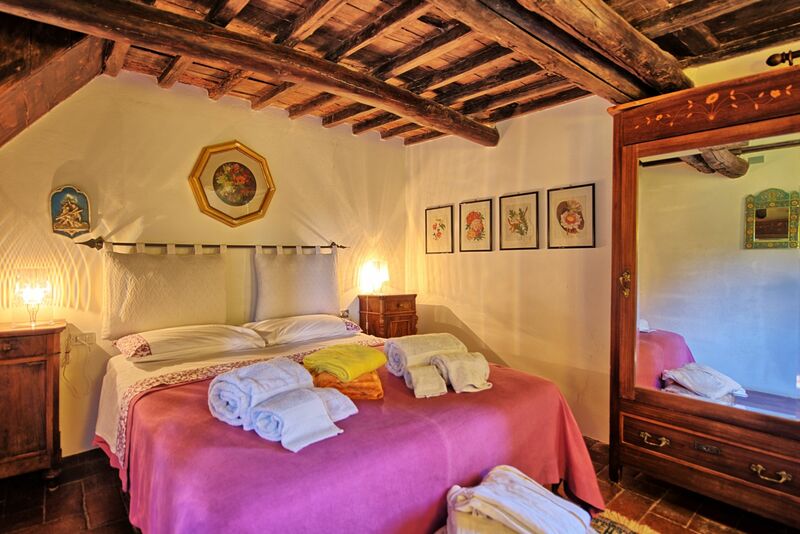 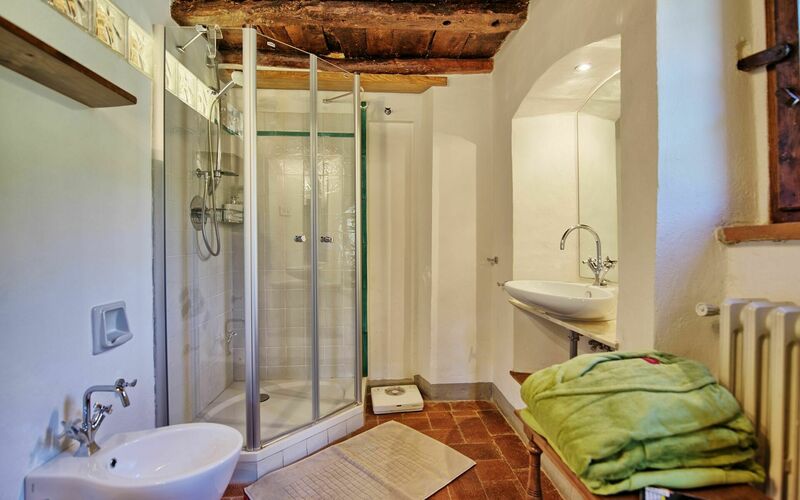 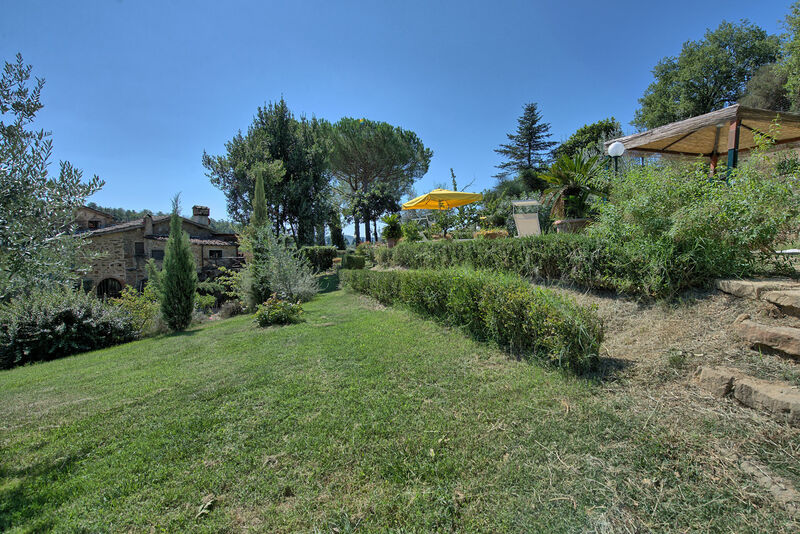 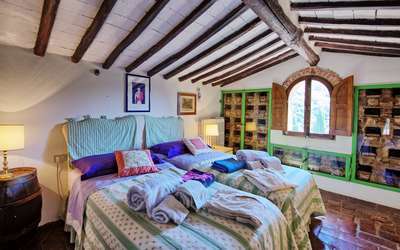 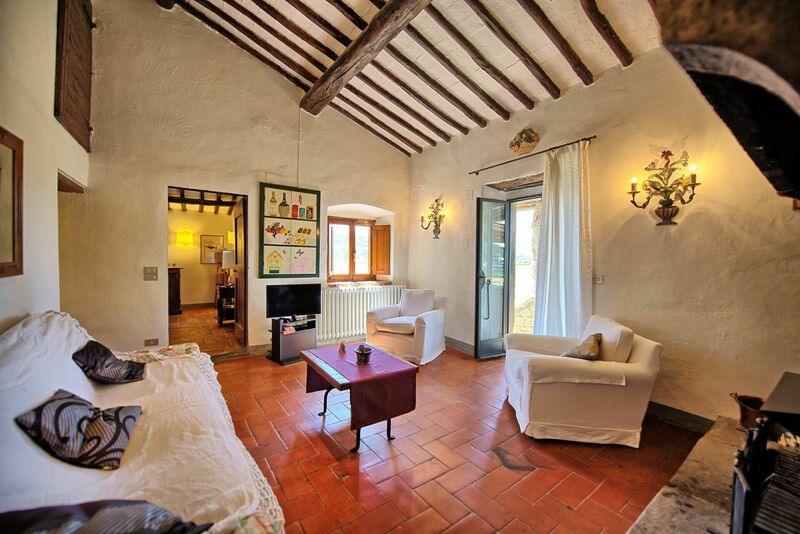 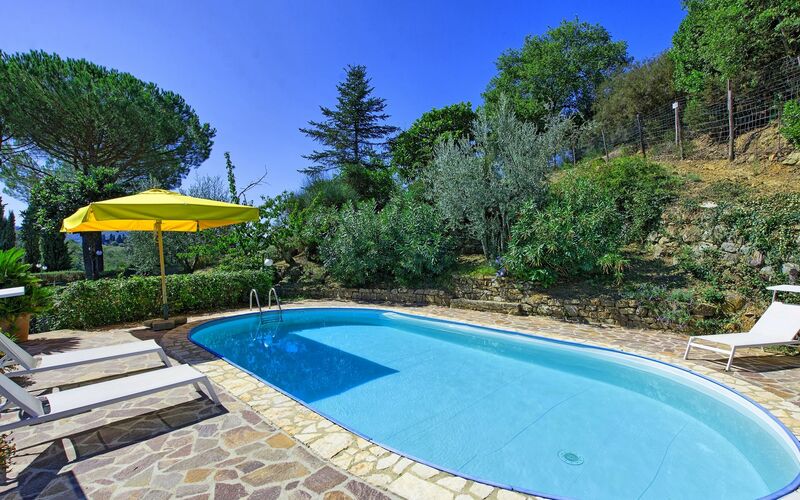 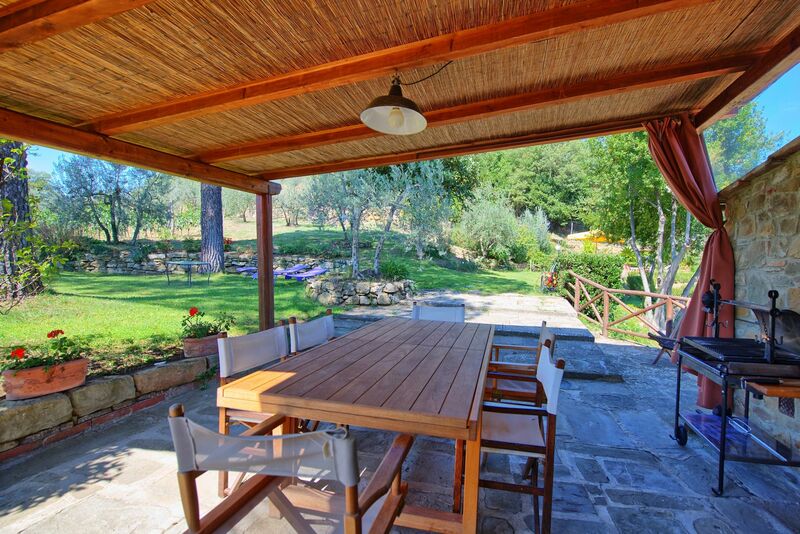 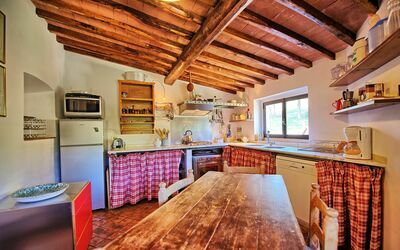 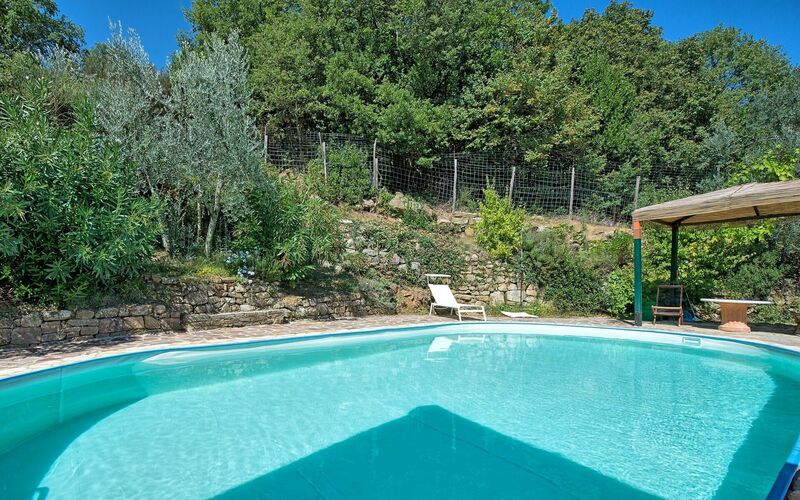 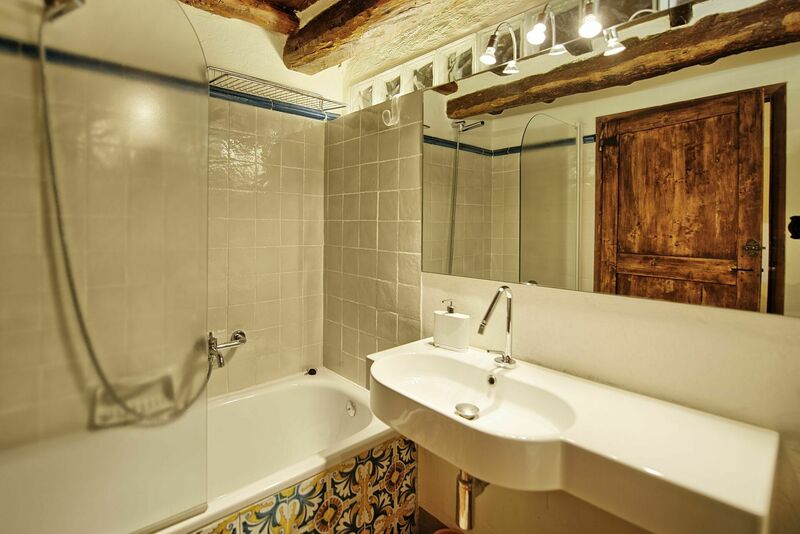 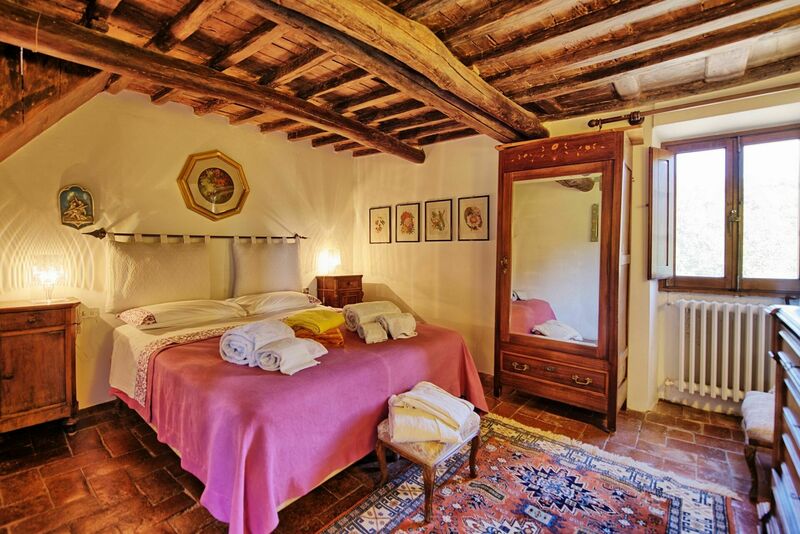 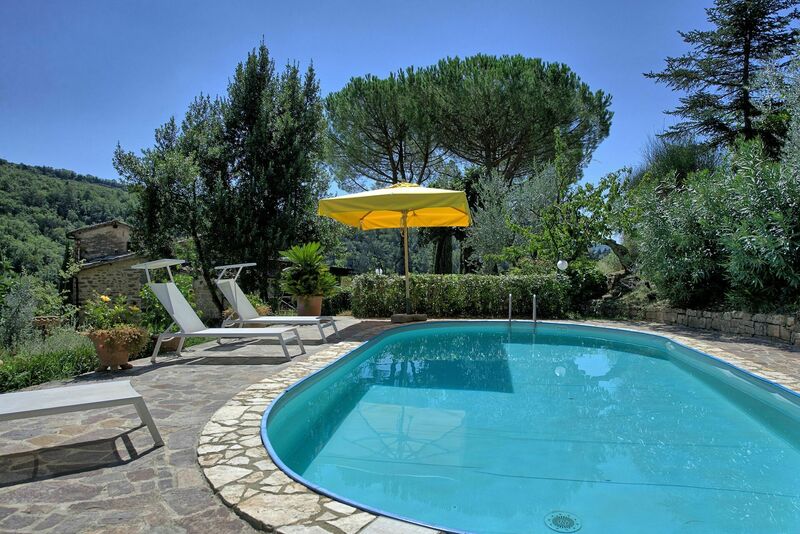 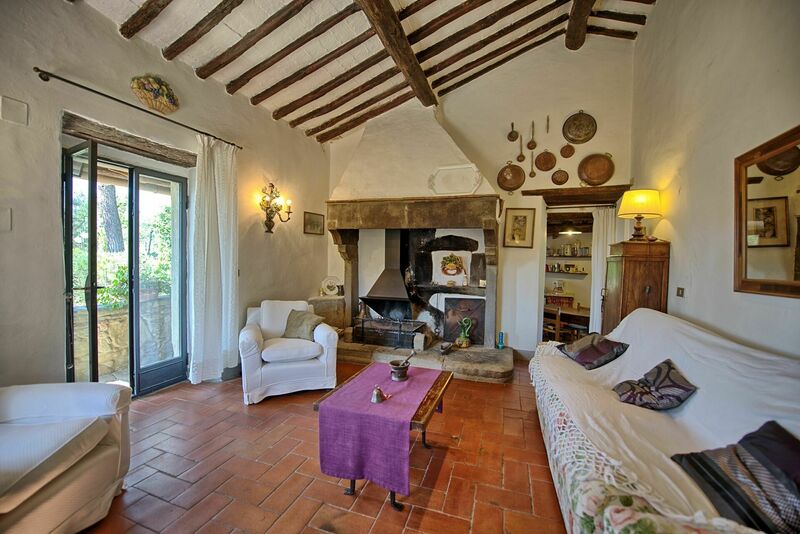 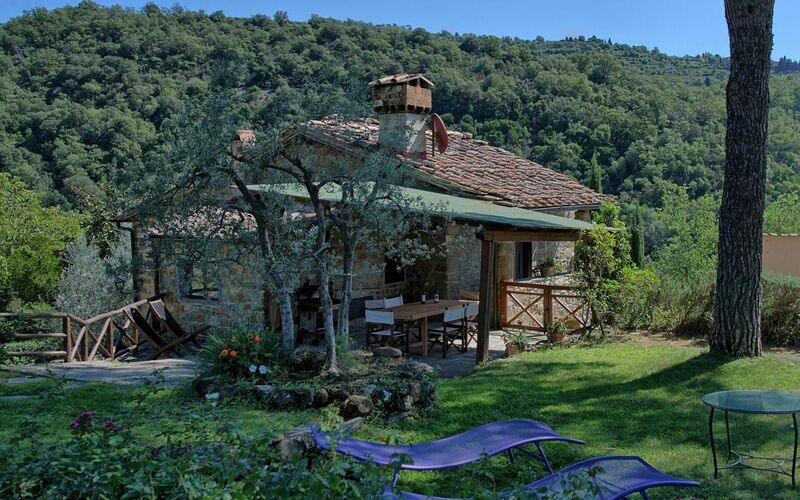 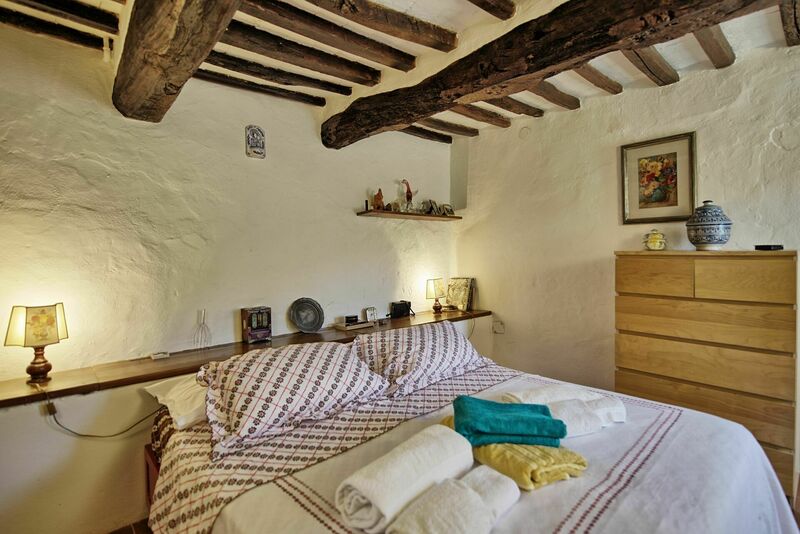 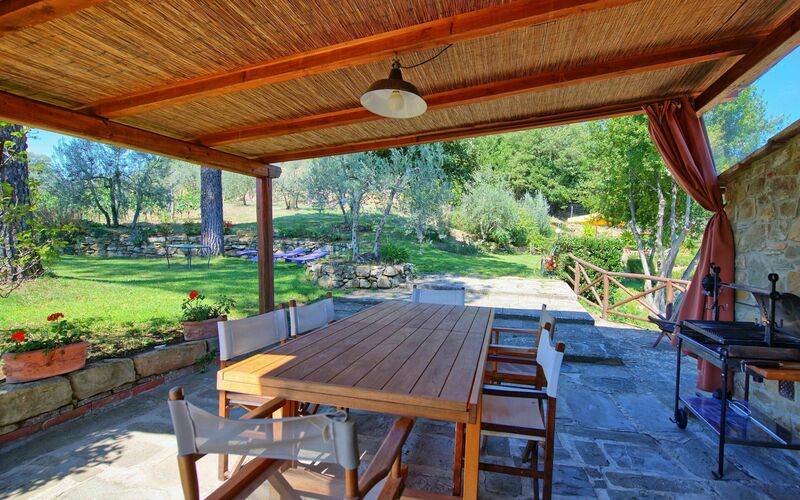 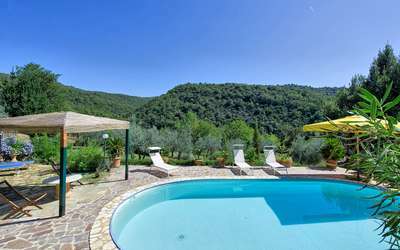 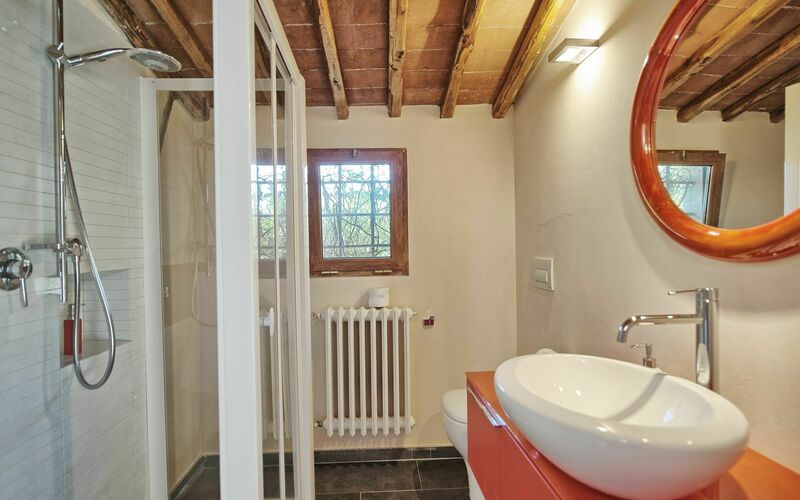 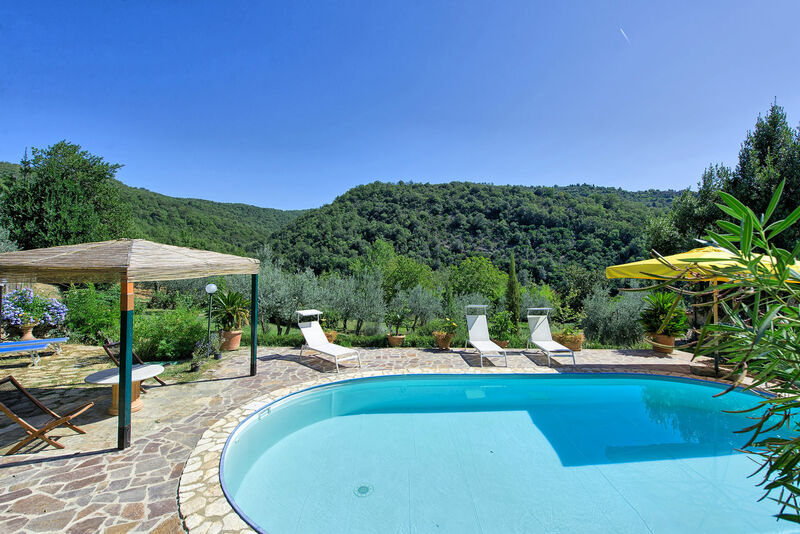 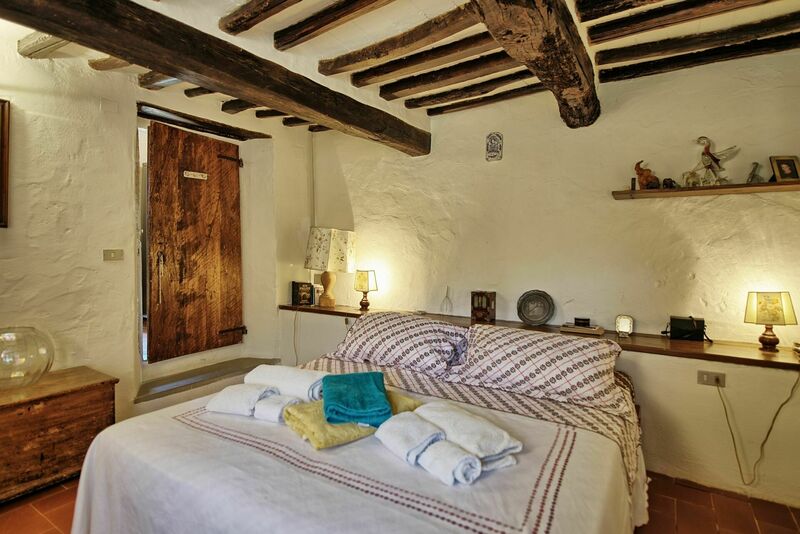 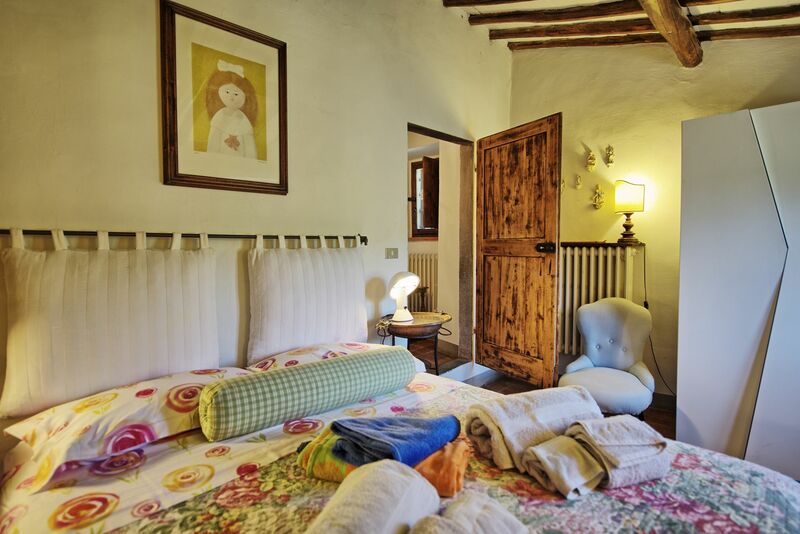 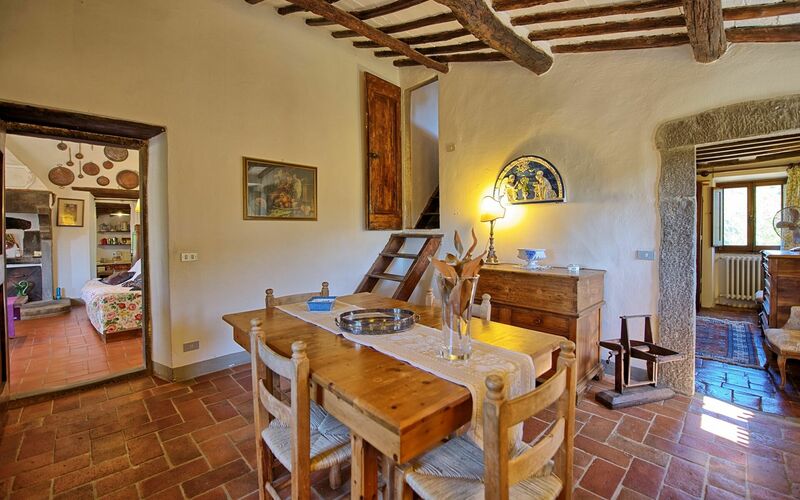 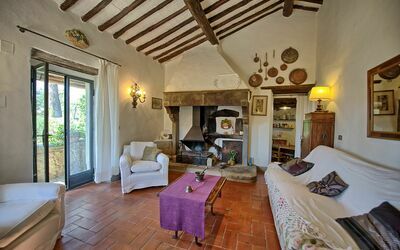 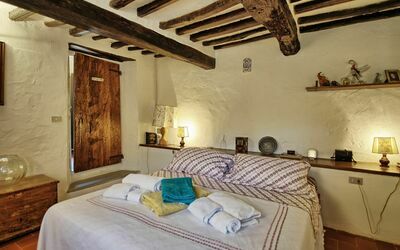 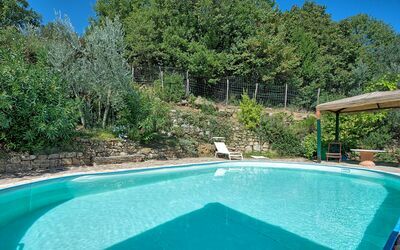 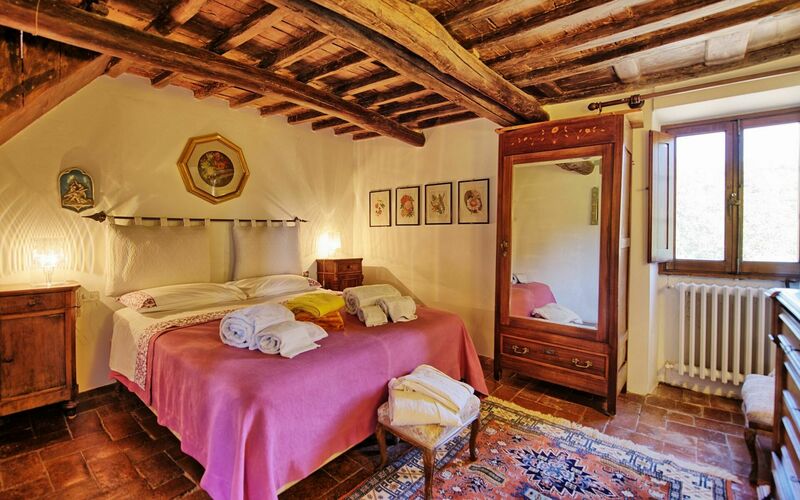 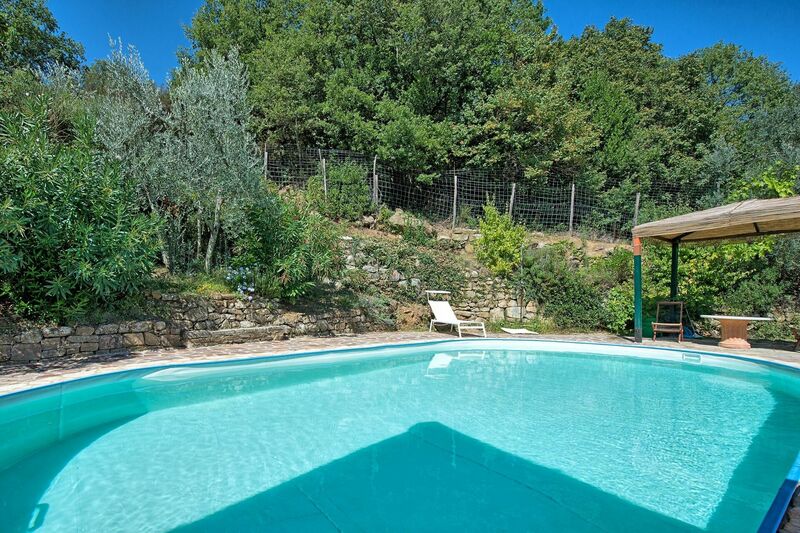 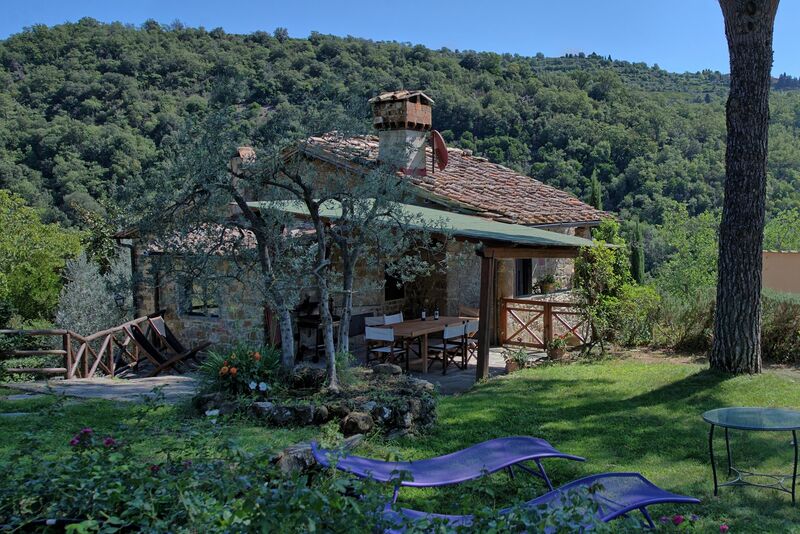 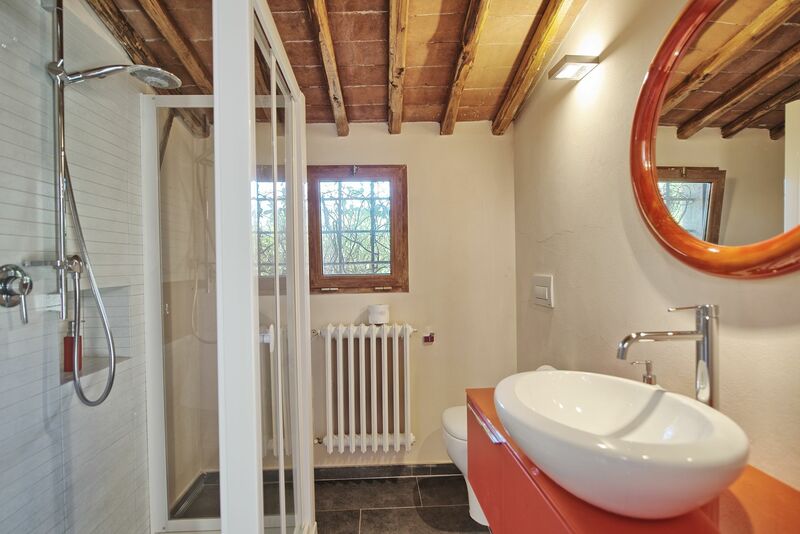 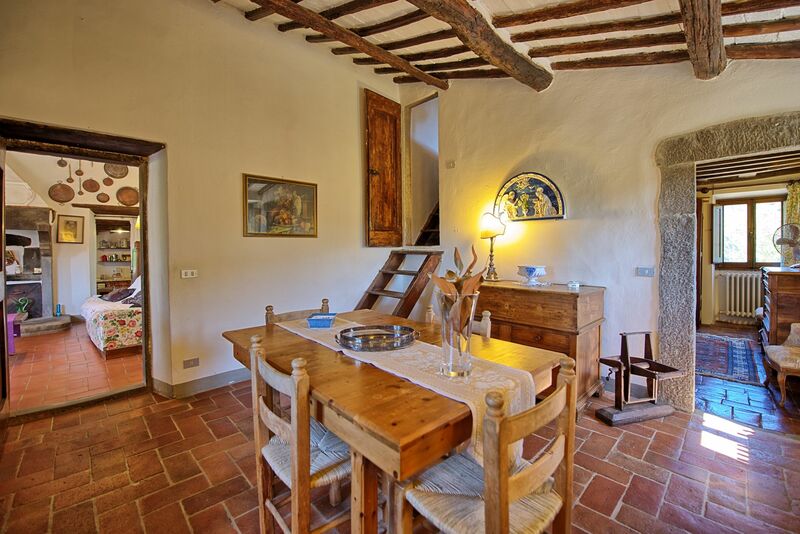 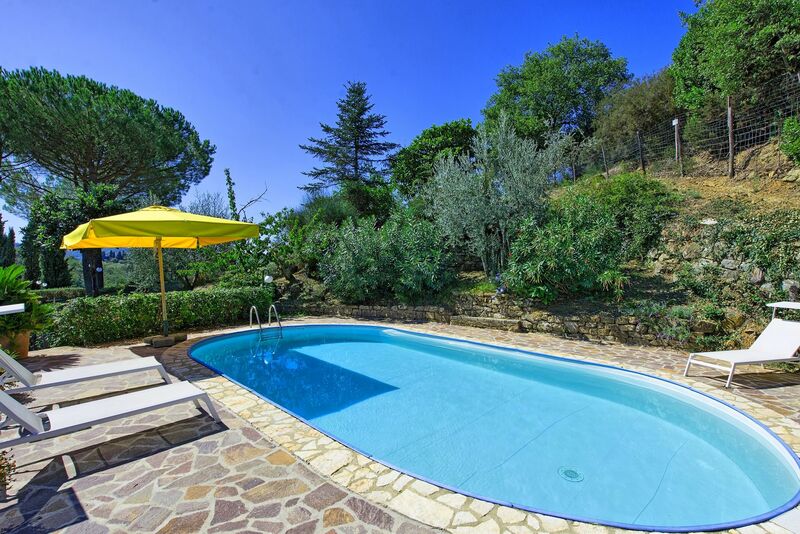 This house provides a private garden with pool and offers welcoming interiors furnished in a rustic style. 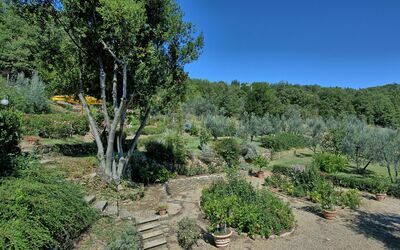 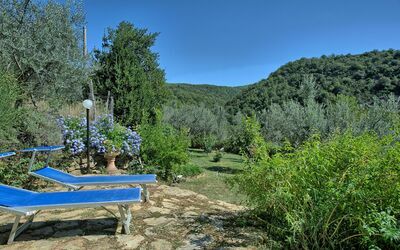 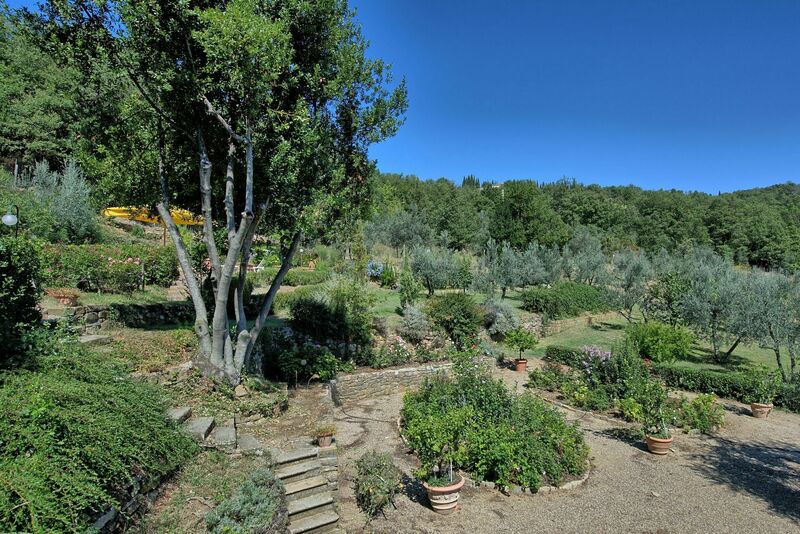 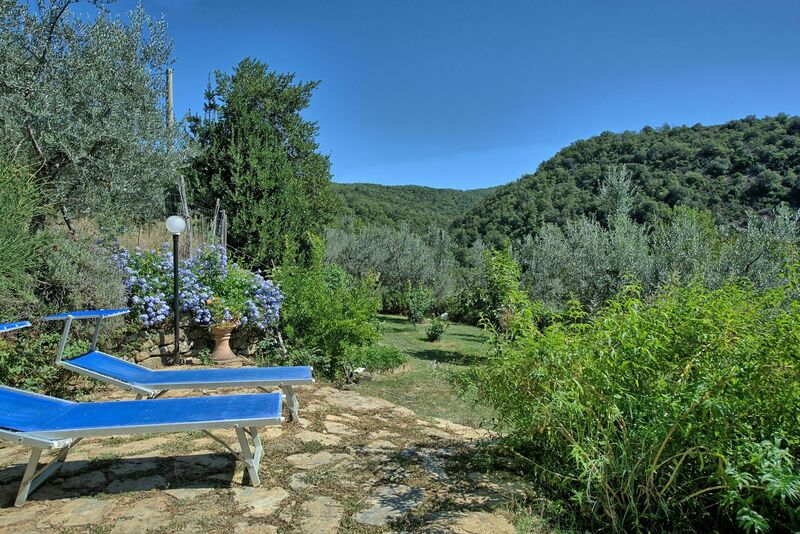 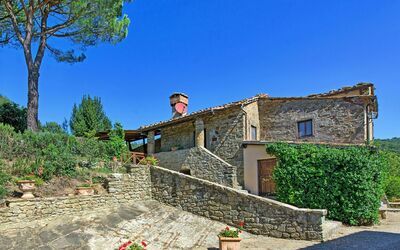 The property owners, who live nearby, run a farming estate with wine and olive oil production (the products of the estate are available for clients to be purchased). 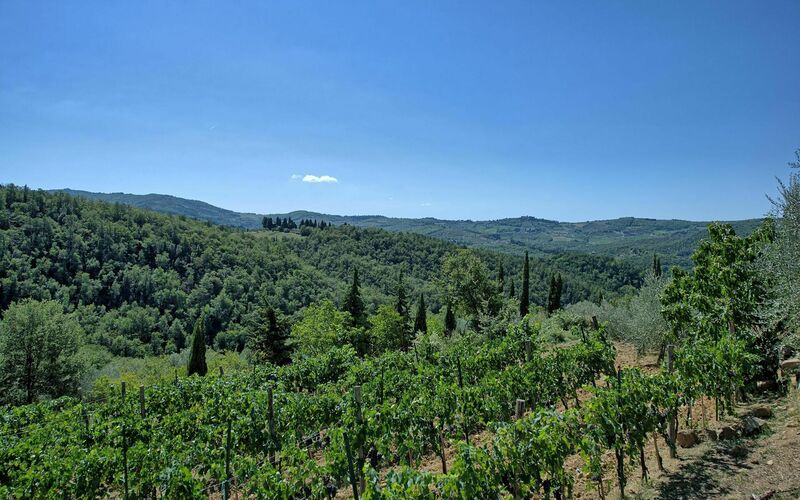 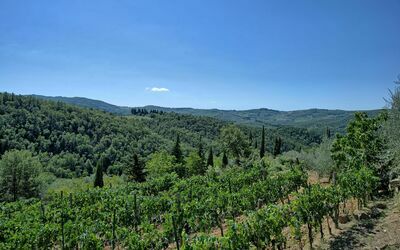 The charming town of Greve in Chianti as well as the Chianti Classico area (Radda, Castellina, Gaiole etc…) are within a few kilometers. 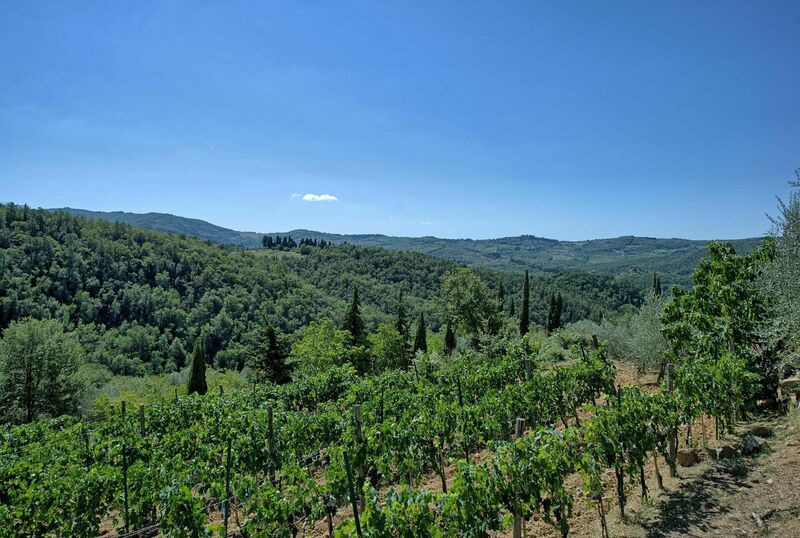 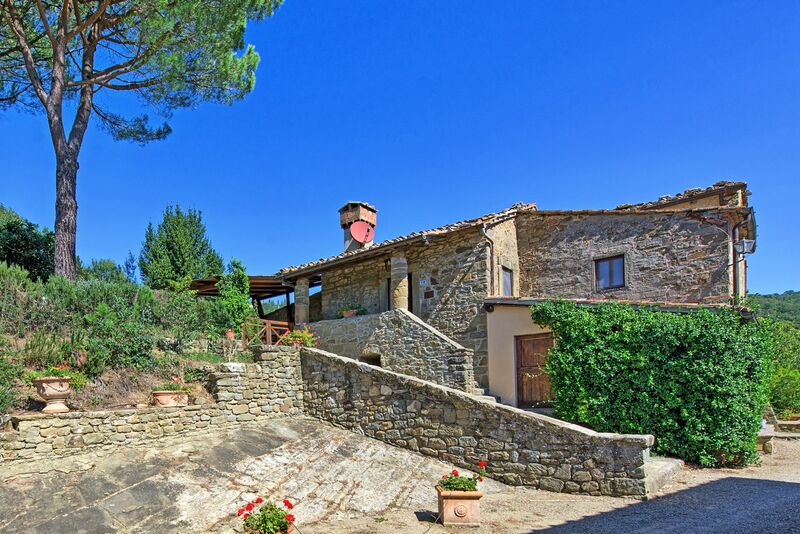 Distances: Greve in Chianti with shops of all kinds 2,5 km away, Florence 30 km, the Chianti Classico area with its charming towns and villages is within 30 km, Siena 45 km away, San Gimignano 50 km, Volterra 70 km away, Arezzo 75 km, Lucca 105 km away, Pisa 115 km away. At guests’ disposal: large garden with private swimming-pool (9 x 5 m – depth 1,5 m – open from 01/05 through 30/09), gazebo and shower by the pool, covered, furnished terrace ideal for al-fresco dining, barbecue. 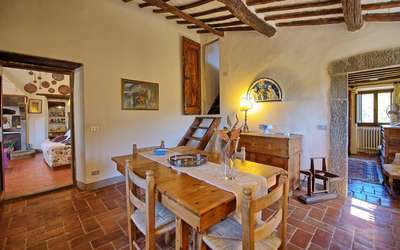 The house provides WI-FI internet (free of charge). Extra Services: Baby bed available free of charge. 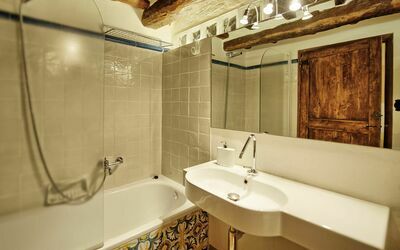 Maid service by arrangement at € 12,- / per hour (payment on the spot). 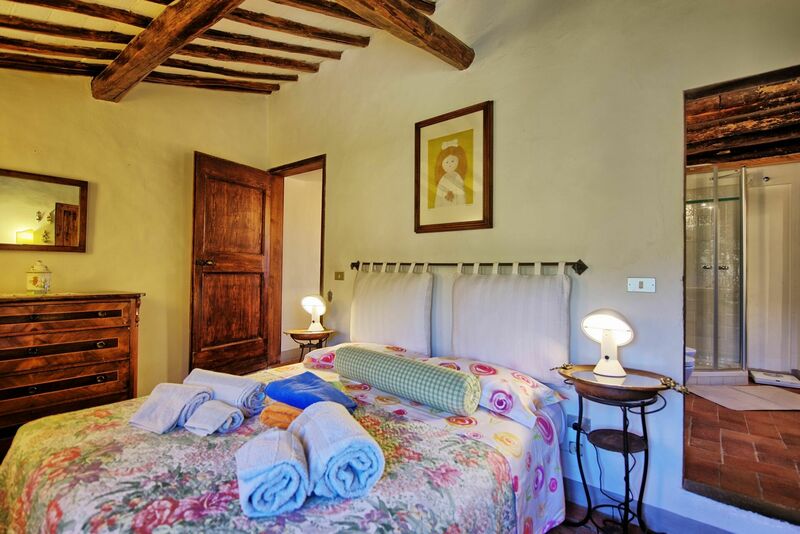 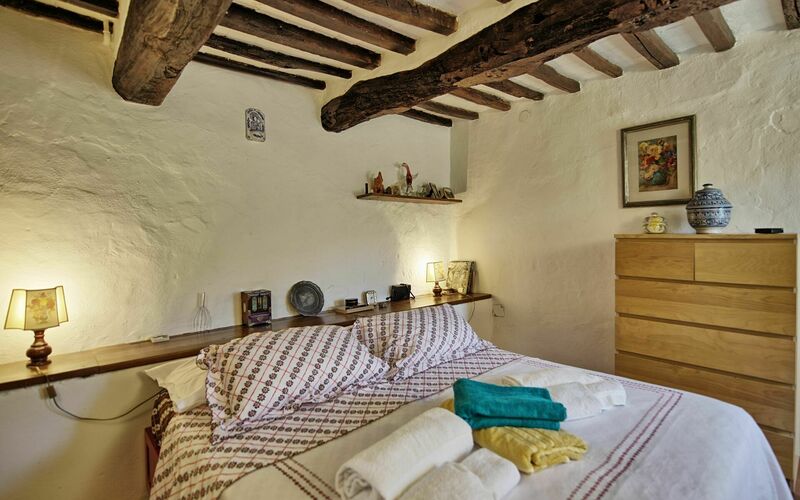 A twin-bedded room (accessible via a steep wooden staircase) is available upon request at € 75,- / per day. The use of this room is free for customers who do not use the external double bedroom. 1st floor: living-room (TV) with not-working fireplace and dining area, double bedroom, bathroom with bathtub and hand shower. 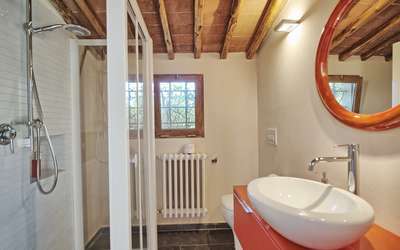 10 steps up (access via a steep wooden staircase): twin-bedded room available upon request at € 75,- / per day. The use of this room is free for customers who do not use the external double bedroom. 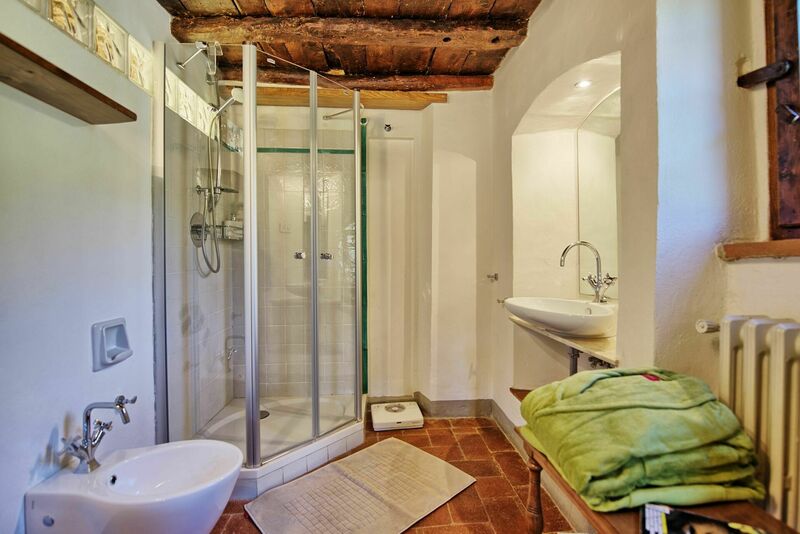 1 step down (from the living-room): double bedroom with ensuite bathroom with shower (access going down 1 step). 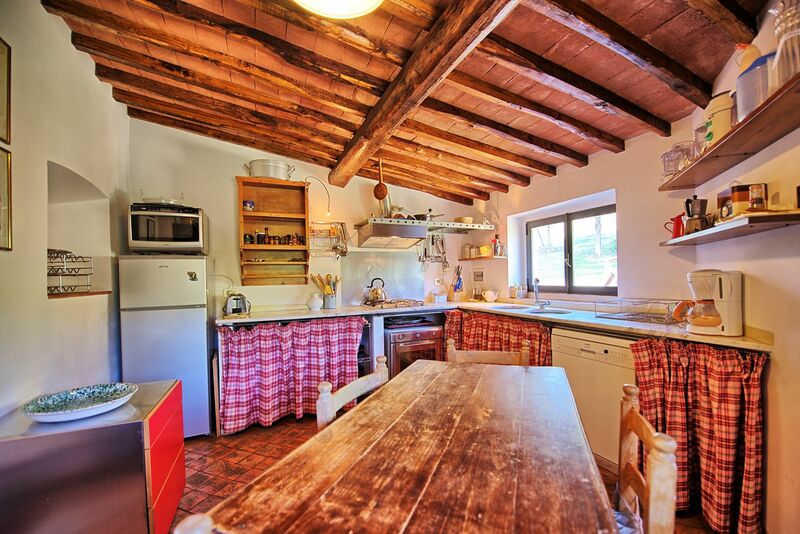 3 steps down (from the living-room): kitchen (oven, freezer, dishwasher). 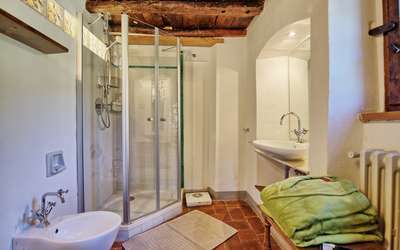 Access from the outside (going down some steps from the main entrance): double bedroom with ensuite bathroom with bathtub, hand shower and washing-machine.